slavery | Radio vs. the Martians! 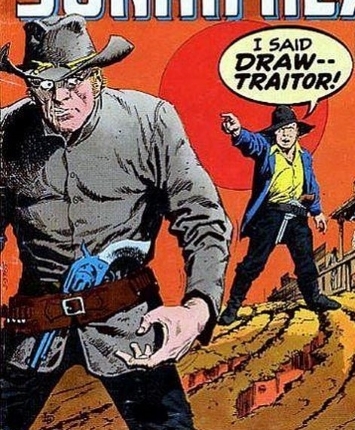 In our third episode, Mike and Casey we dive into possibly the most controversial and politically relevant aspect of Jonah Hex’s character: his Confederate uniform and his time fighting in the Civil War. First, we dig into an issue of classic Hex in 1975’s Weird Western Tales #29. In a story by Michael Fleisher and artist Noly Panaligan. In “The Breakout at Fort Charlotte,” wounded after a duel with an angry young man, Hex remembers his time fighting in the Confederate Army and the decisions that lead him to ultimately deserting it. After surrendering to a cruel Union officer, he finds himself framed for collaborating in a massacre of prisoners. Then we dig into 2008’s Jonah Hex (vol.2) #36 by Jimmy Palmiotti, Justin Gray, and Rafa Garres, titled, “Seven Graves Six Feet Deep.” Why did Jonah Hex continue to wear his Confederate grays for decades after the war ended? Framed by the writing of a historian who grapples with the controversial historical figure of Jonah Hex and that very question, Hex rides home from the war in 1866 in a gray uniform being the only clothing he owns. After a misunderstanding ends in the death of a freed slave woman, Jonah finds himself rescued by a violent racist mob who mistake his uniform for him sharing their loathsome views and goals. We’ve….seen things you people wouldn’t believe! Mike and Casey fire up our Spinners, and blast off to great new lives in the Off World Colonies with Sci-Fest L.A.‘s Matt Goodman, and writer Micah Krabill! This month we’re talking about 1982’s Ridley Scott sci-fi classic: Blade Runner! Join us as we discuss how a financially disastrous art film about a future cop hunting androids went on to become a major cult favorite, and one of the most culturally influential science fiction movies of all time. 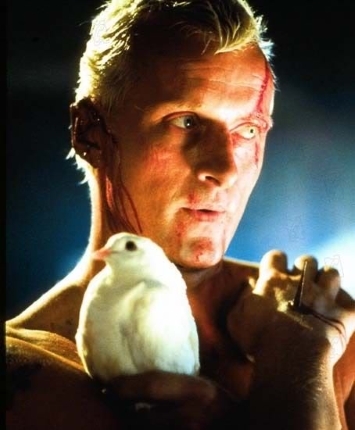 We talk about the nature of humanity and artificial life, the proper pronunciation of the word “robot,” the morality of Rutger Hauer’s Roy Batty, and which of the film’s multiple versions is its most definitive.